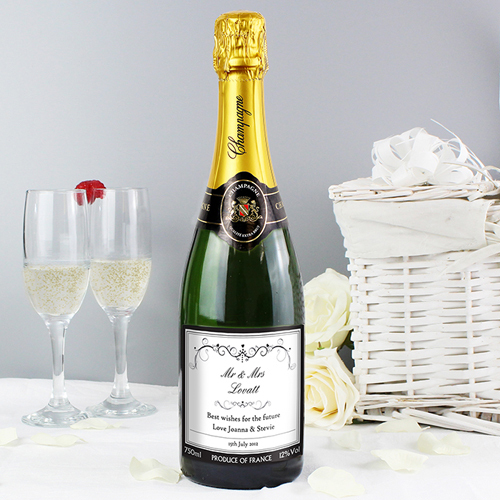 The Champagne can be personalised with the couples names (20 characters each) and any message over 3 lines up to 30 characters per line. Presentation box available to buy separately. Personalise with the couples names (20 characters each) and any message over 3 lines up to 30 characters per line.